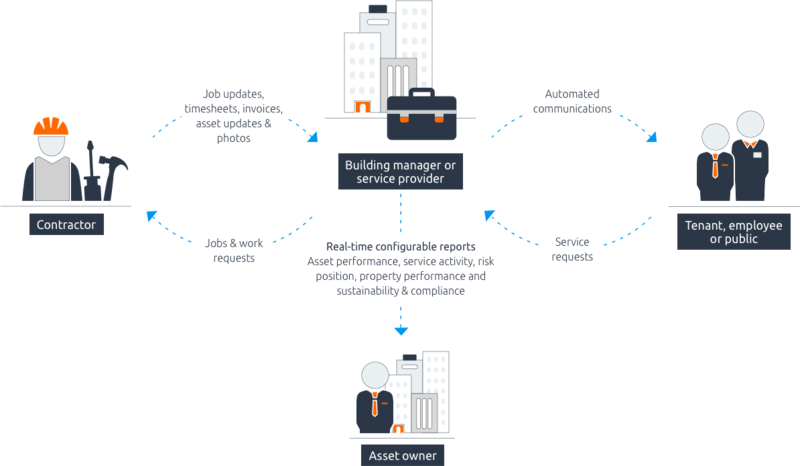 Loc8 is the first and only asset management and maintenance platform designed to let asset owners, service providers and field technicians collaborate in real-time to ensure a smooth, cost-efficient and automated chain of relationships – the Service Supply Chain. Loc8’s Service Supply Chain is an efficient, fully integrated digital ecosystem through which real-time and historical asset, work order/job and customer relationship data can be disseminated, shared and viewed instantaneously by all participants. Concurrently, each user is still empowered to maintain full operational independence. The platform is the culmination of years of working to revolutionise how different organisations interact, which these days is most appropriately termed an eco-system. Loc8 is effectively the digital oil that keeps everything running exactly as it should, from physical equipment, through to people, workflow and processes. Available as a cloud-based platform to organisations ranging from five people to thousands of employees, it is already in use within aviation, rail, mining, maintenance, facilities, retail and other industrial-based organisations across Australia, America and Europe. With this new concept, the Loc8 Service Supply Chain platform revolutionises how industrial, resources, public sector, facilities and service management organisations reduce costs, improve productivity and increase profits. It enables a major leap forward in customer satisfaction and performance. Below is a concrete explanation of the benefits that the Loc8 Service Supply Chain can provide to a business. At the beginning of the project, Loc8 was effectively deployed in full by Programmed Facility Management (“Programmed”), an operating subsidiary of Australian publicly-listed company, Programmed Maintenance Services Ltd.
Programmed’s deployment of the Loc8 Service Supply Chain innovation has been used to great effect via their direct involvement in the publicly-owned social housing sector. Within this sector, Programmed engaged with various government departments and agencies (the “asset owners”) to provide residential asset maintenance services across the Australia/NZ region. By utilising the Loc8 Service Supply Chain platform, Programmed was able to provide responsive and cost-efficient service to public housing asset owners. The occupants/tenants of publicly-funded social housing, served under contract by Programmed, have benefited from vastly-improved on-site job turnaround times and quality workmanship. In the course of post-implementation discussions, the General Manager of Finance and Business System, has confirmed to us that the Loc8 Service Supply Chain roll-out with New Zealand’s public housing authority (Housing NZ) has enabled Programmed to save over $65,000 per month ($2 million per annum) in administrative staff costs alone, compared with their non-Service Supply Chain asset servicing contracts of similar size and scope. Regarding the New Zealand social housing service contract, direct customer feedback to Programmed from the public asset owner (Housing NZ) has highlighted that the service provider exceeds agreed customer service level commitments by over 30%. Programmed’s sub-contractors also demonstrated their enthusiasm and expressed positive feedback regarding the merits of the Loc8 Service Supply Chain.